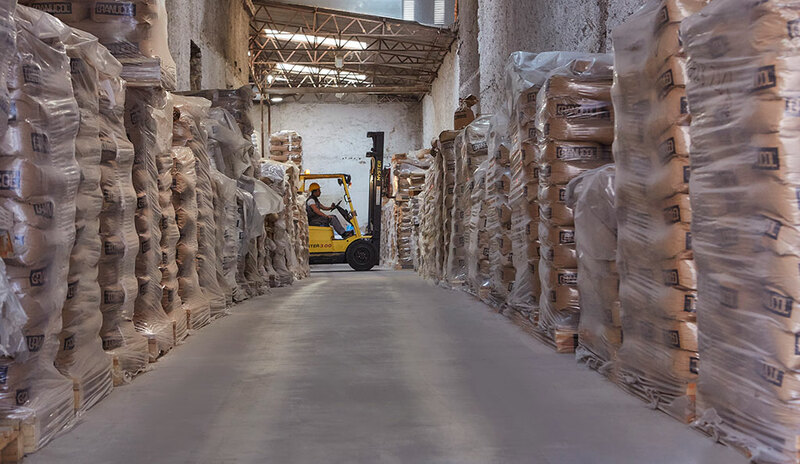 Based in Piraeus, the Company STROUMBOULIS was founded in 1969, with its field of activity being the import & processing of quartz sand, mainly serving the needs of foundries and the colourants industry. Nowadays, reaching its fifth decade in business, it is a state-of-the-art Company active in the import, trade and wholesale, specialised in all types of Quartz sand, as well as other mineral materials, supplying companies across a wide range of the Greek economy: from water management facilities, to the construction of sports fields with synthetic turf and from specialised construction materials industries to Swimming pools and spa companies. All products are imported by the STROUMBOULIS Company, after careful selection and quality control testing, from the most established manufacturers in Europe and the Middle East, and are delivered to Clients via company owned fleet, in line with their required specifications. All products are certified in accordance with the relevant European standards (EN) that apply to each type of application, e.g. treatment of water intended for human consumption, use as aggregates in construction mortars etc. The use of STROUMBOULIS products offers added value to our Clients, improving the efficiency of their facilities and final products / services. Our responsibility towards the products we offer and deliver has created long-term relationships of trust and reliability with our hundreds of Clients & Partners. To provide high quality certified materials for water treatment and construction, which offer added value to our Clients, improving the efficiency of their final products-services, benefiting our Business, our Sector as well as the wider Society. STROUMBOULIS Ltd. is based in privately owned facilities in Piraeus – Warehouses 2.500m2 and Offices 150m2 – and owns private transport fleet. 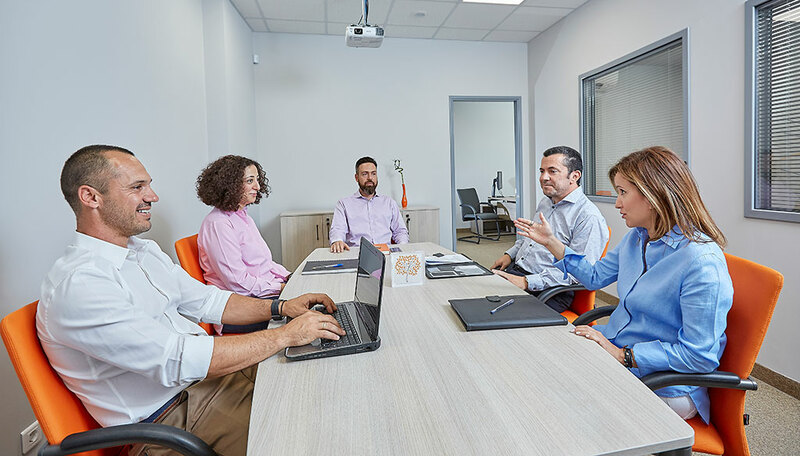 The specialised Company Personnel at all levels of operations, is ready to respond to the most demanding requirements, with flexibility and promptness in time and delivery method. Damianos grew professionally within the Business of his Father and Founder, having an active presence in it since 1998. He studied in the Athens University of Economics & Business, and under the strong guidance of Michael Stroumboulis, he gradually and in parallel served positions within all Company departments, gaining the necessary skills and experience. Since 2015 being at the Management of the Company, and despite the extremely difficult conditions in our country, the Company continually presents a positive progress as well as critical modernisation, whilst it has a highly skilled and harmonious Team of managers and personnel, continuously expanding. His Vision for the Company is “its continuous growth, so that it becomes the Leader and model Company in its sector of activity, based on solid Values, Client-focused approach, together with its People”. Having studied Economics with postgraduate studies in Financial Management in London and Athens, Nikos has successfully worked for over 20 years for Companies in various sectors, gaining extensive experience. He has held senior level financial positions at various finance sectors and joined STROUMBOULIS in 2017. He is in charge of the critical sector of Financial Management, with a view to contributing to the healthy growth of the Company, based on solid bases, in accordance with its values and culture. With more than 15 years of experience – also as a Team Manager – in Logistics, Vassilis has worked in a wide range of sectors with different products and characteristics. Having also undergraduate studies in Business Administration, he is in a constant evolution – as a personality – with the aim of gaining a wider knowledge of his field, as a critical link in the Company. In STROUMBOULIS, he undertook the Transportation Office, in order to implement new productive transportation and storage procedures, basing on his experience, with emphasis on safety and training of the employees, providing the best possible customer service to the Company. With extensive experience in Sales and Team management, he has been in the Company since 2014. Having served the Warehouse Management position, he then took on the crucial role of Sales Manager. His daily contact with various people – personalities across the Market and his love for what he does help him continuously evolve, first and foremost understanding Client needs and always striving to offer the best solution for covering their needs, based on the STROUMBOULIS products. With extensive experience in Customer Service in various fields of activity, she joined the Company in 2015. Christina Gregoriadou works at the Company since 2017. Having studied Business Management and being experienced in accounting works & purchasing, Christina works in the Purchasing & Procurement section of STROUMBOULIS. Eugenia joined the STROUMBOULIS team at the beginning of 2018. With her extensive experience as PA to the CEO in commercial businesses, but also as Product Manager in technology products, she significantly contributes to the Company administrative and general operational support. Markos has been with the Company since 2016. He works at STROUMBOULIS as a Driver, having many years of experience working for commercial and logistics Companies. The youngest member of the STROUMBOULIS Warehouse team, Theodoros joined the Company in 2017 and is undergoing continuous training aiming at adapting his skills to the Company flexible service model, in line with the demanding Client requirements.